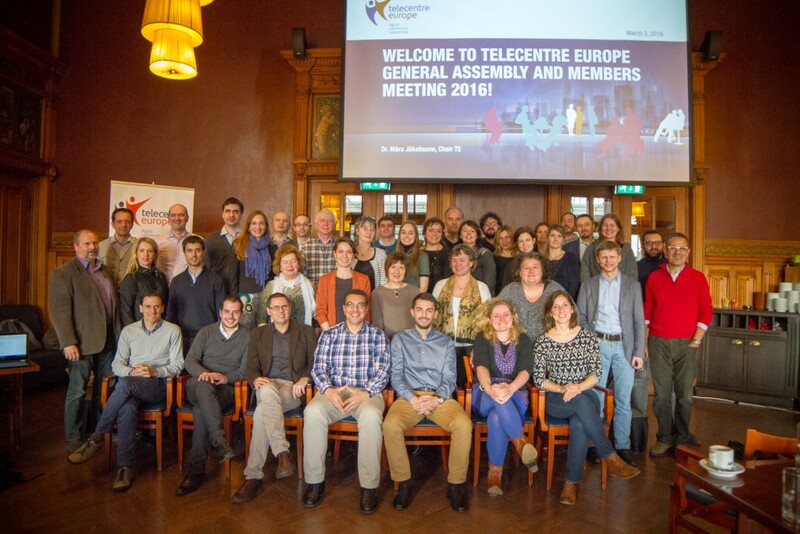 On 8-9 May 2018, representatives of 28 member organisations gathered in Brussels for the General Assembly to assess and approve of the main organisational documents, elect new Board members, as well as discuss the members’ services, opportunities and major events. Chair of the Board Mara Jakobsone welcomed the participants and saluted on their work in 2017, when 1.5 mln people were trained by the members’ network organisations and digital competence centres. – the Action Plan and the Budget 2018. The new Deputy Chair is Achilles Kameas, DAISSy Research Group of Hellenic Open University and Computer Technology Institute and Press “Diophantus”, Greece, and the new financial controller is Athanasios Priftis from Ynternet.org Foundation, Switzerland. The 2nd day was a more informal members’ meeting where the services for members and main campaign and events were introduced and discussed. The Annual Membership survey, conducted during January-March 2017, showed the major trends in the network and let us analise the value of the services we offer. 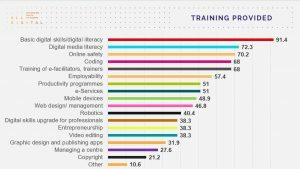 Our centres provide a wide range of services and training programmes, as you can see from the charts below. The services that the members still need the most are the same with improvement and also with more training and online events for members. Hence, the Assembly continued with the presentation of the training offers for members by the Board member Altheo Valentini. 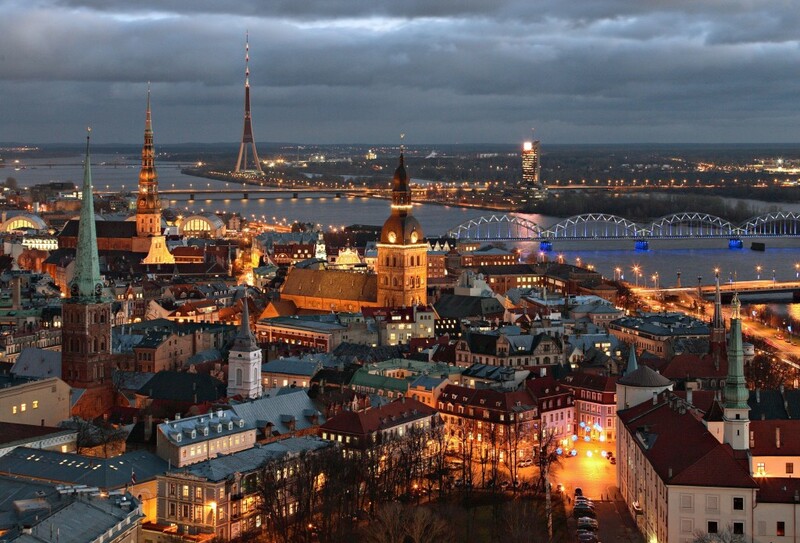 We will announce the offers separately, and they will be published on the website. The two flagship events of ALL DIGITAL are the ALL DIGITAL Week and the Summit, and sessions on those are always long awaited and arouse most discussions. Raise hands if your organisation participated in ALL DIGITAL Week 2018? ALL DIGITAL Week 2018 results were unveiled at the General Assembly – 123,000 people from 32 countries people were engaged in the campaign; 4,060 local partners organised 5,400 events and reached over 8,000,000 people. The campaign manager Ekaterina Clifford highlighted the main achievements and changes in 2017 and thanked all the partners, many of whom were present at the General Assembly and. Later the the participants discussed the challenges from 2017, relevant topics for next year and already set the dates for the next year’s campaign – 25-31 March 2019. 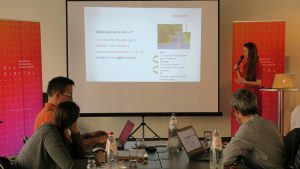 The ALL DIGITAL Summit 2018 concept was presented by the policy and project officer Gabriela Ruseva. 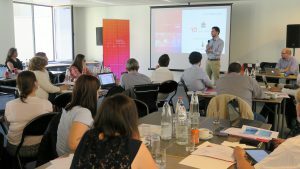 This year’s Summit will be co-hosted by our Belgian member Maks vzw and will take place in Brussels on 18-19 October under the title “Digital Journey: From Inclusion to Empowerment“. We will be talking about digital journey to become engaged digital citizens, skilled workers, empowered educators or inspiring leaders in the digital society. The digital society that is smart and inclusive, which is more equal, more tolerant, more democratic, more critical, more active and better prepared for the challenges of today and tomorrow. The digital journey starts from realising that digital tools are for everyone, and through feeling safe and comfortable with our own capacities. it brings us to being empowered by our own knowledge. Want to explore this topic and learn from other members on how to include and empower people with digital skills? Then join us in Brussels on 18-19 October. More info and details to follow. The General Assembly also hosted the final event of the Pathways4Employ project “Digitally Competent: New pathways for new workers“. 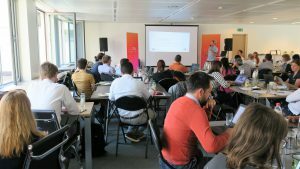 The workshop, as well as the project itself, looked at the digital skills needed in two interesting profiles for employment offering opportunities in the coming years: entrepreneur and virtual worker”. 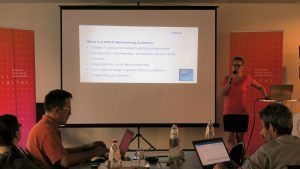 The project partners reviewed the needs analysis results, the open badges ecosystem, demonstrated the Pathwaysforemploy platform and presented the piloting approach. You can see the agenda here. Greetings from the General Assembly participants, and we hope to see many of you at the Summit in October!